The pre-season isn’t real hockey. Well, technically it is, but it’s not the hockey we’re always waiting for to come back. The phrase is “is it October yet?” – not September. September isn’t actually that important. However, after a long, long off-season of no hockey – trying to sustain ourselves on little things like a rookie camp and some slim pickings in August – the pre-season is a godsend. It’s a necessary amp up to to the regular season, even if there may be a few too many games involved. Well, get ready for seven of those games! On Sept. 26, the Calgary Flames are officially back with their traditional non-staggered split-squad action against the Oilers. This year, all pre-season games are either in-division or in Western Canada, making for a nice little locale. Last year, the Flames had a couple of pre-season games against the Colorado Avalanche; this year, they’ve been replaced by the Arizona Coyotes. A game has also been dropped. In 2015-16, the Flames played eight pre-season games; thankfully, that number is down to just seven this year. For as much as pre-season is necessary to both get players back into the swing of things and make final training camp decisions and roster cuts, there’s really no sense in overworking the guys. Especially when pre-season injuries can have lasting ramifications on your actual season. T.J. Brodie suffered a broken hand in his first pre-season game last season, which was, well, pretty awful. It wasn’t a coincidence the Flames went on to have a 2-7 start to their year without him, nor that he was pretty much their best player the second he came back. His loss also hurt Dougie Hamilton’s transition towards becoming a Flame, which was really unideal – and, considering how he essentially got fifth defenceman ice time throughout the year, may have had greater ramifications than are first evident. So here’s to a fully healthy seven pre-season games for the Flames. Mark your calendars for the end of September – that’s when they’re back. And then mark them again for probably Oct. 12 – because that’s the first Wednesday following the Flames’ final pre-season game, and that might just be when the team is back for real. Our friends at AMA Travel have put together an exclusive golf getaway for two lucky citizens of the Nation. 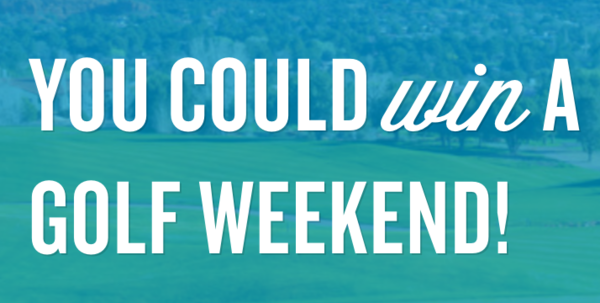 This is a FREE draw to enter so there’s really no excuse not to try chances for a free golf vacation. The fine folks at AMA will pick a grand prize winner on July 17th, and have even sweetened the pot with weekly giveaways which increase your odds of winning something for doing basically nothing. To get further information and to enter this FREE draw just submit your info here. Why do they do split squad games? So annoying. So they can assess double the number of players at the same time.